The last glacial maximum in Ireland made the island inhospitable to the common frog (Rana temporaria). As the ice retreated about 12,000 years ago, a population of common frogs was able to slowly recolonise the island from ice-free refugia to the south. This pattern of distribution shift, typifies the model applied to most reptiles and amphibians following ice ages. Now, new research from Louisiana State University challenges this “one size fits all” model. As reptiles and amphibians are ectotherms, there is a tendency to simply assume they are all thermophilic, and will thus react positively to warmer climates. However, this doesn’t apply to alpine species and, as this study shows, it doesn’t always apply to temperate species either. Plethodon serratus is a North American salamander with disconnected populations distributed between the Ozarks, the Appalachians,the Ouachitas and two sites in Louisiana. Catherine Newman first looked at this species as part of a side-project in conservation genetics, but as the complicated genetic relationship between these populations became apparent, the study quickly grew in both scope and complexity. “After looking at the geographic distribution of P. serratus, we were interested in applying genetic and climate modeling methods to determine (1) how the various populations are related to each other and (2) whether or not the geographic distribution of this species was broader and more contiguous in the past due to different climate conditions”. What Newman found was startling. Under the standard distribution shift, it would be expected that neighbouring populations would be most closely related. In the case of P. serratus however, one Louisiana population was found to be more closely related to the populations in the Ouachitas and the Appalachians than it was to another, closer, population in Louisiana. This suggests the two isolated populations were once connected. 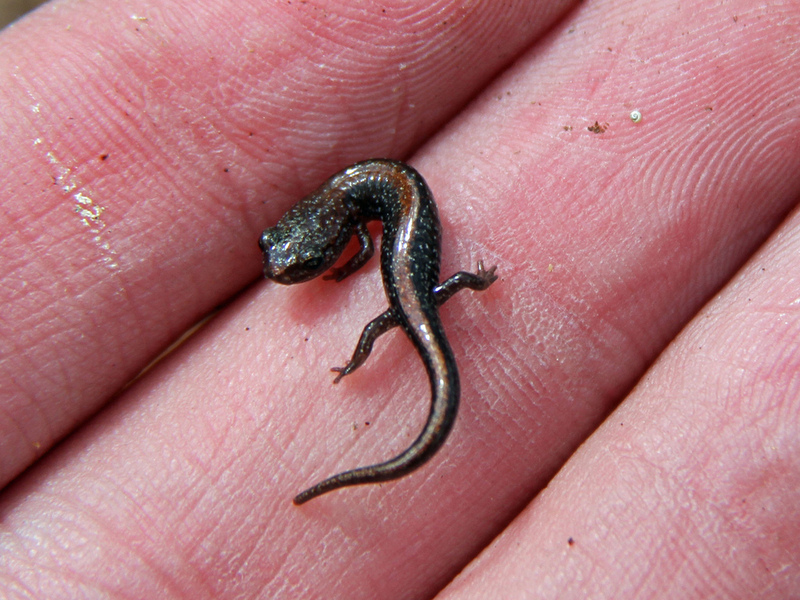 An analysis of climate data suggested that 21,000 years ago, a cooler, drier, climate allowed the salamander to occupy a much wider distribution and that its range has contracted as a result of warming climate. This is the complete opposite of the anticipated post-glacial distribution shift for a temperate salamander species. This is a fascinating finding in itself, but it also has important implications for the conservation of this species. As temperatures continue to rise, we may see further restriction and fragmentation of population distributions. Should this prove to be the case, management may be necessary to ensure novel genetic material is introduced into shrinking gene pools. This is of particular concern for the state-protected, Louisiana populations, as the species has a very limited distribution within the state. Newman and her colleagues recognise the importance of understanding how the species responds to climate change: “We are currently working on a follow-up study with a much larger genetic data set to get a better understanding of the relationships among populations, the genetic diversity of the species, and how the population sizes have changed through time. This information will help us predict how P. serratus will respond to the ongoing and future changes in climate”. In a warming world, the disruptive impact of climate change on herptiles is slowly becoming more apparent. Increased temperatures have been shown to affect factors such as metabolism, embryonic development and gender, and now, studies such as this one are highlighting the additional threat of range fragmentation for temperate species. Image credits: Greg Schechter’s Flickr. Images used under C.C.A license. Source: Newman, Catherine E., and Christopher C. Austin. “Thriving in the Cold: Glacial Expansion and Post-Glacial Contraction of a Temperate Terrestrial Salamander (Plethodon serratus).” PloS one 10.7 (2015): e0130131.